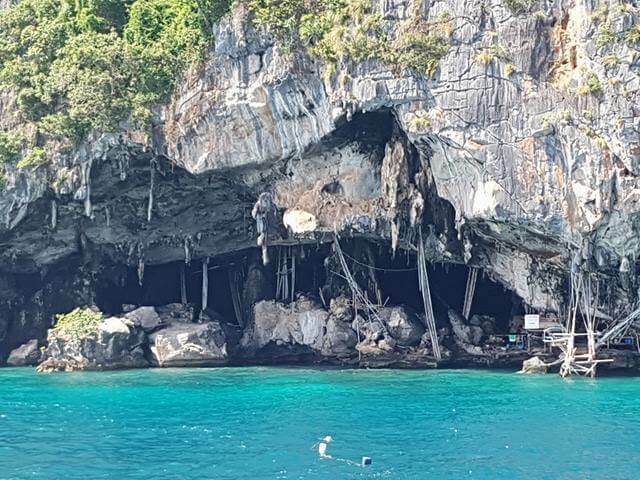 If you’re looking for a private Phi Phi boat tour from Phuket, look no further than Easy Day Thailand’s “Private Phi Phi Island Tour”. 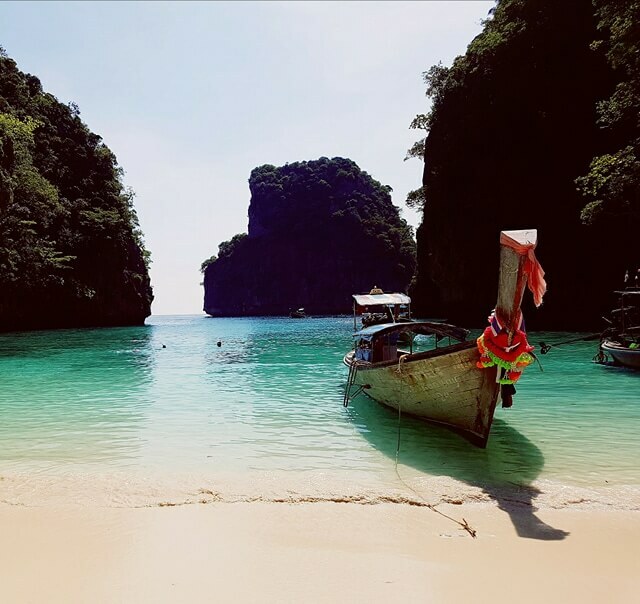 You will enjoy a fantastic day sightseeing, swimming and snorkelling in the warm waters of the Andaman Sea combined with a relaxing lunch on a quiet beach away from the crowds. 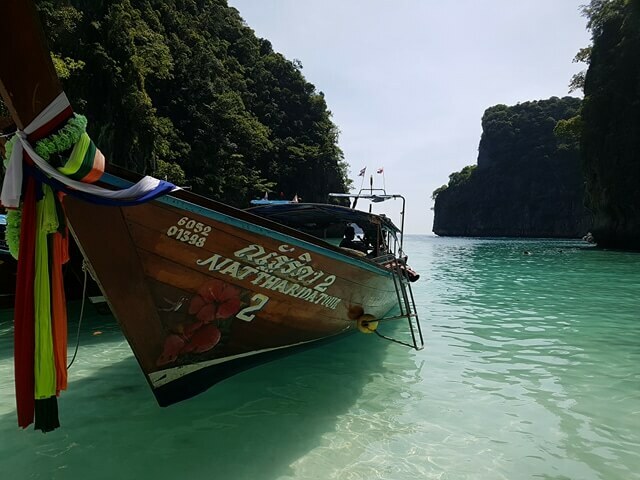 This private boat tour is personalised, enjoyable and by far the best organised daytrip we have experienced to Ko Phi Phi. 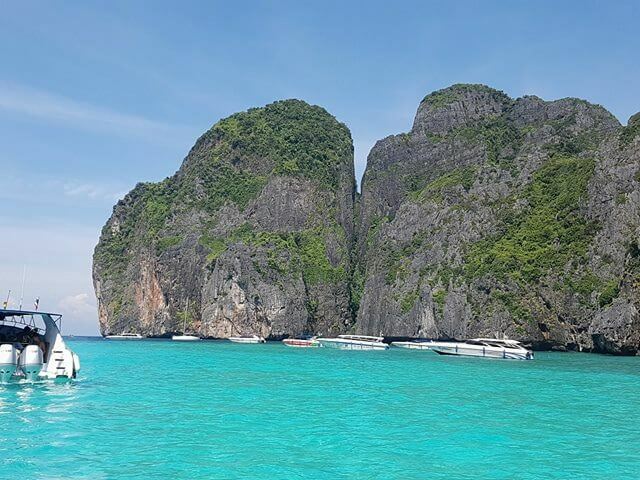 As return travellers to Phuket we have been to Ko Phi Phi on numerous occasions and have tried many different tours and tour companies, from standard ferry transfers and join-in speedboat tours to even chartering our own private speedboat. 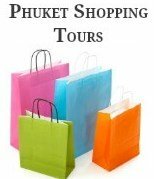 Over all Phi Phi tours we have experienced we would have to say that Easy Day Thailand’s Private Longtail Boat Tour is the best overall. 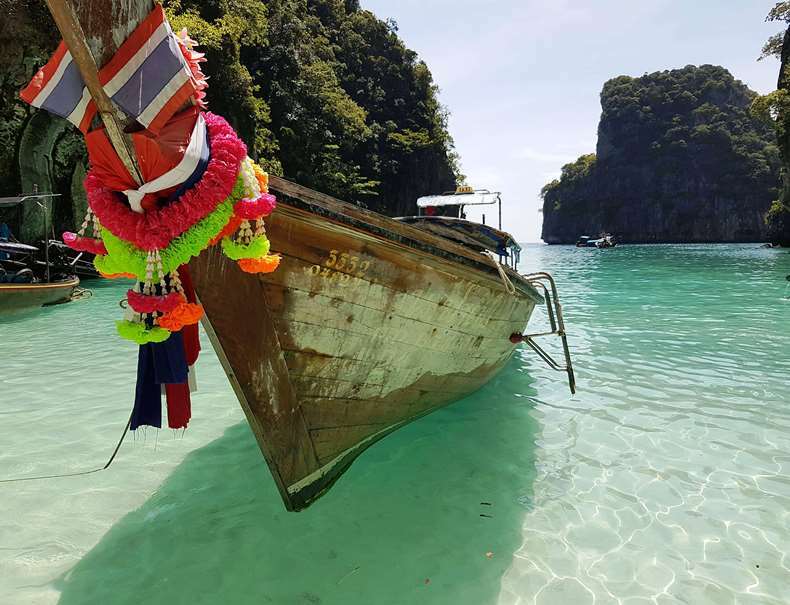 So what makes this particular boat tour the best choice over all the other Phi Phi boat tours you see advertised on the web or in brochures? 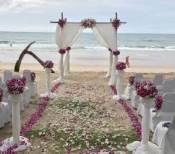 Apart from a unique experience and an unforgettable day on and in the water! 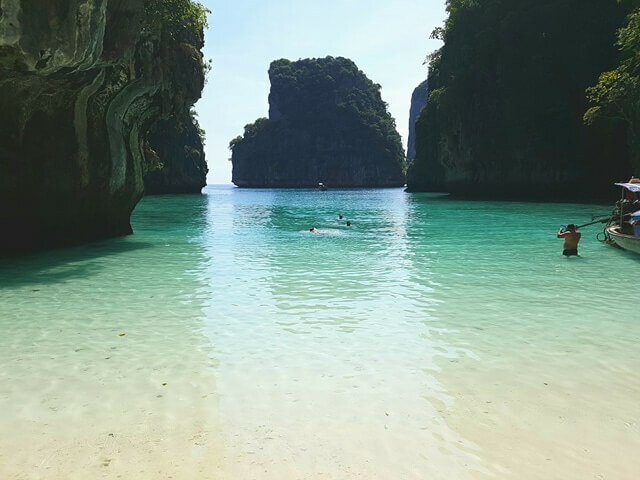 Easy Day Thailand have come up with the perfect tour combination for people who want to visit the Phi Phi islands in the privacy of their own group without the price tag of hiring a private speedboat. 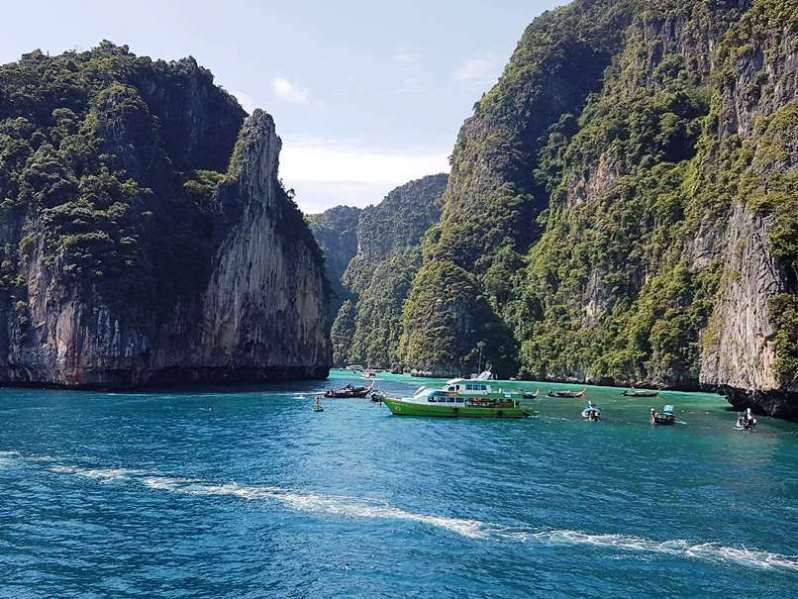 This particular boat tour is designed for guests of two or more people, and is ideal for visitors who are travelling with young families or those who have neck or back issues or pregnant women who shouldn’t travel by speedboat. 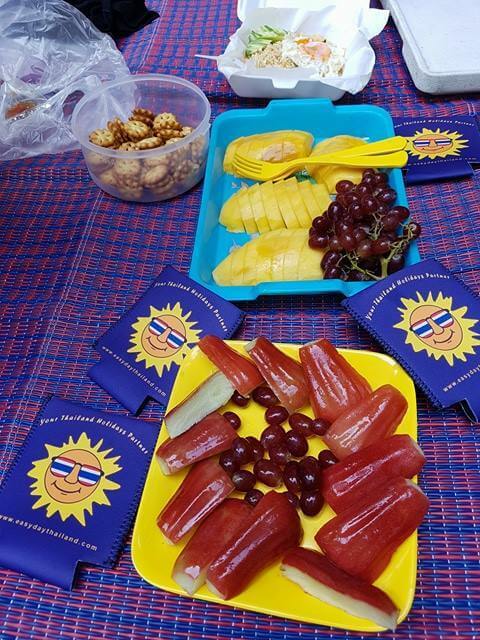 Not included: National Park Fees are not included in the boat tour as they need to be paid on arrival. 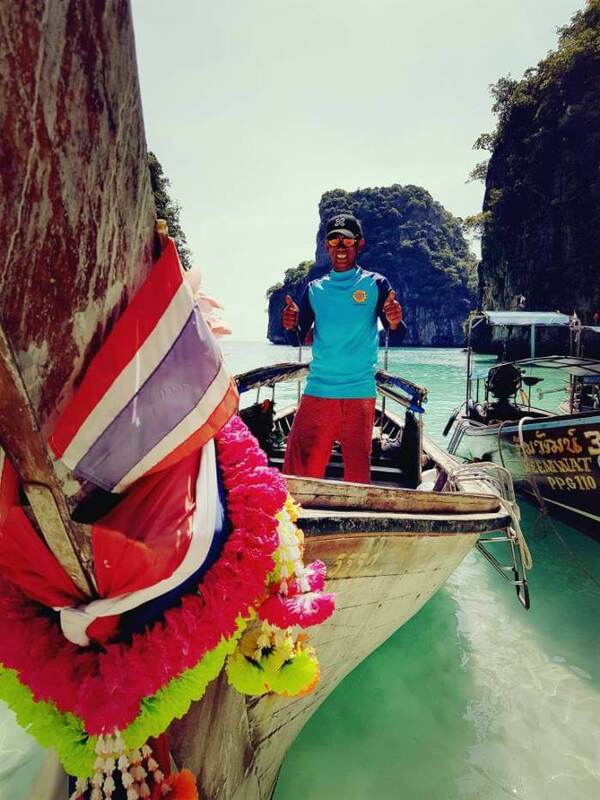 To book your Private Phi Phi Boat Tour you can contact the guys at Easy Day Thailand by clicking here. 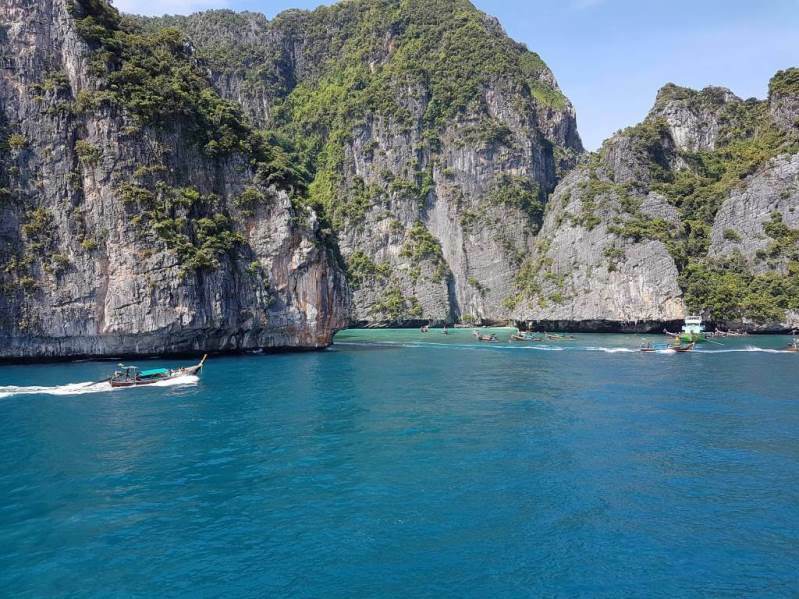 Below is a gallery of pictures we took during our Phi Phi Boat tour and our personal review of this Phi Phi boat tour. 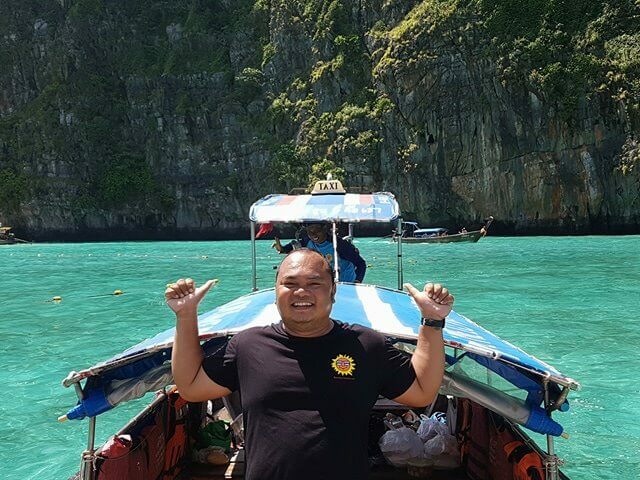 Our Phi Phi boat tour kicked off at our scheduled time at 7.00am when our Easy Day Thailand tour guide “Ti” and driver “Mr Coffee” arrived to pick us up at our hotel at Karon Beach to transfer us to Rassada Pier. During our journey to the pier “Ti & Coffee” were both very friendly which was a welcoming change from other tour transfers we have been on in the past. Ti was very informative, chatting to us about the tour and about Phuket in general, whilst Coffee weaved his way ever so safely through the morning traffic. When we arrived at Rassada Pier, we waved bye to Coffee, and Ti led us through the crowds to the ferry and guided us upstairs to the air-conditioned Premium Class Lounge, which was fitted out with comfy leather lounge chairs, a large flat screen TV, private restrooms and snack bar with complimentary tea & coffee, light snacks, soft drinks & drinking water. 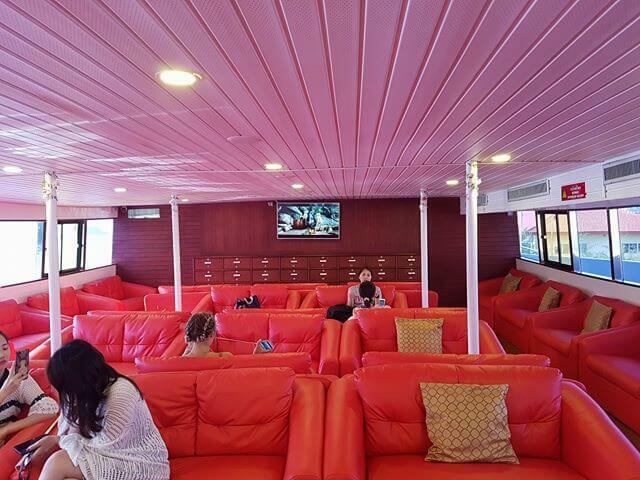 Whilst there were a lot of people in the standard setting area of the ferry, the premium class lounge was nearly empty allowing us to enjoy a relaxing journey to Ko Phi Phi. 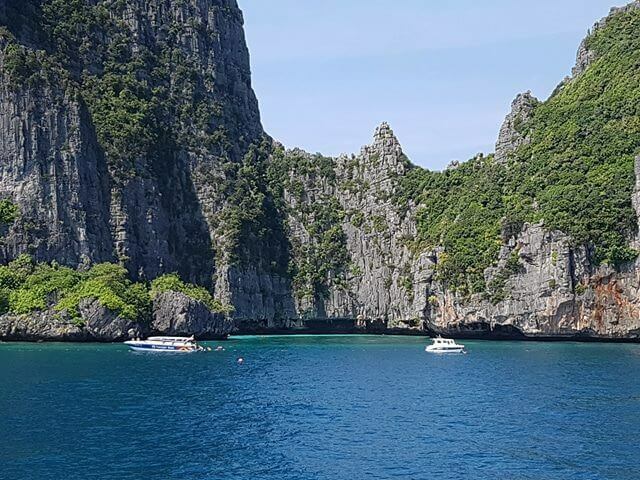 We also had use of a large private sundeck for sunbaking and or sightseeing which was excellent as it gave us a bird’s eye view of the top sights as we cruised around Phi Phi Ley including Maya Bay, La Samah Bay, Pileh Bay, and the Viking Cave. 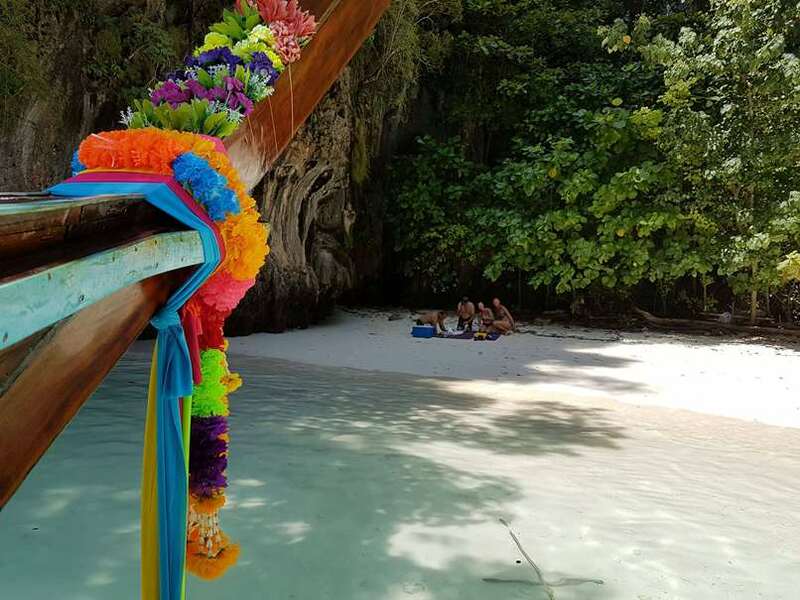 From Phi Phi Ley we continued on to Phi Phi Don and disembarked at Tonsai Pier where our longtail Boat Captain “Ont” was waiting to transfer us onto the longtail boat for our private sightseeing and snorkelling boat tour. Thanks to Ti and Ont, our transfer from the ferry to the longtail boat was seamless and very quick. 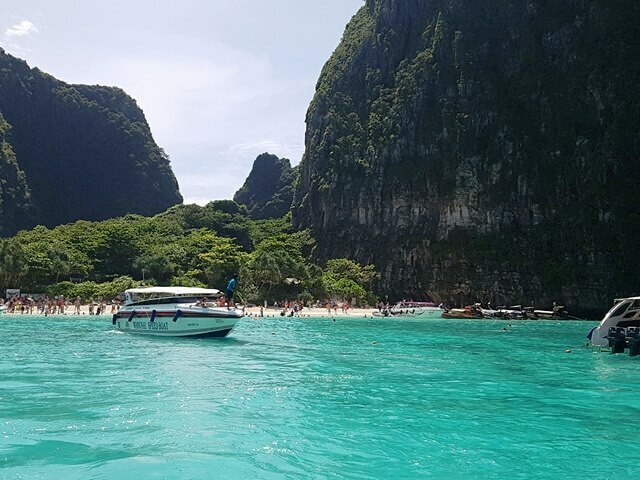 Once on-board the longtail boat we enjoyed a smooth 20 minute voyage to Phi Phi Ley; our first stop at Phi Phi Ley was the famous Maya Bay, where we had a great time snorkelling around the narrow fringed reef. From Maya Bay we moved onto Loh Samah Bay which proved to be a much nicer area for snorkelling. 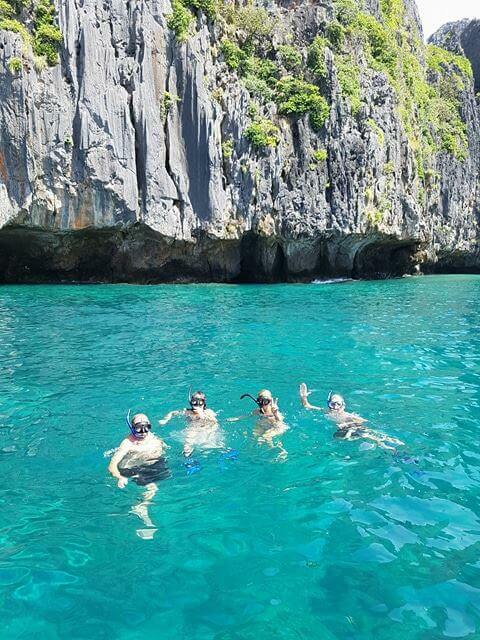 The water was clearer and there was more fish and nowhere near as crowded as Maya Bay. After we finished snorkelling, Ti asked if we were ready for our lunch and suggested a little beach in Loh Samah Bay. The beach Ti and Ont selected for our picnic lunch was absolutely amazing, white sand and the clearest of water. 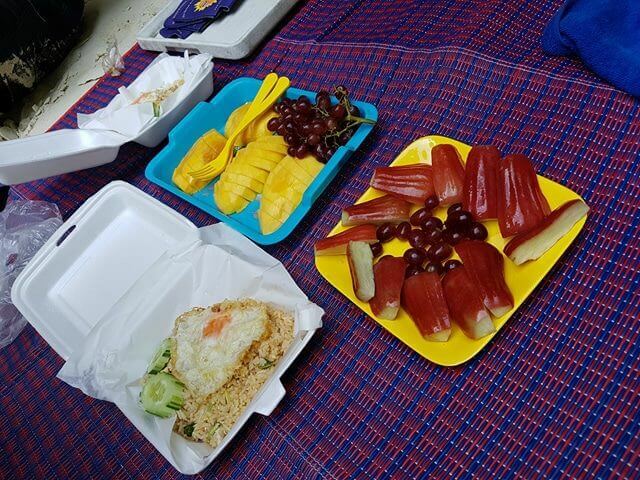 Our lunch was delicious; we enjoyed a large serving of fried rice with egg and a range of fresh fruit that Ti had hand-picked from the local markets earlier in the morning. 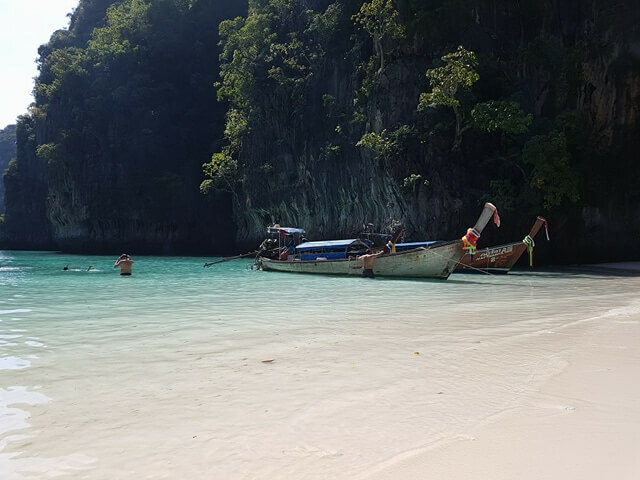 When visiting Phi Phi on a day tour, timing is everything and these guys really do know how to avoid the crowds, we had the beach to ourselves for a good hour or more. 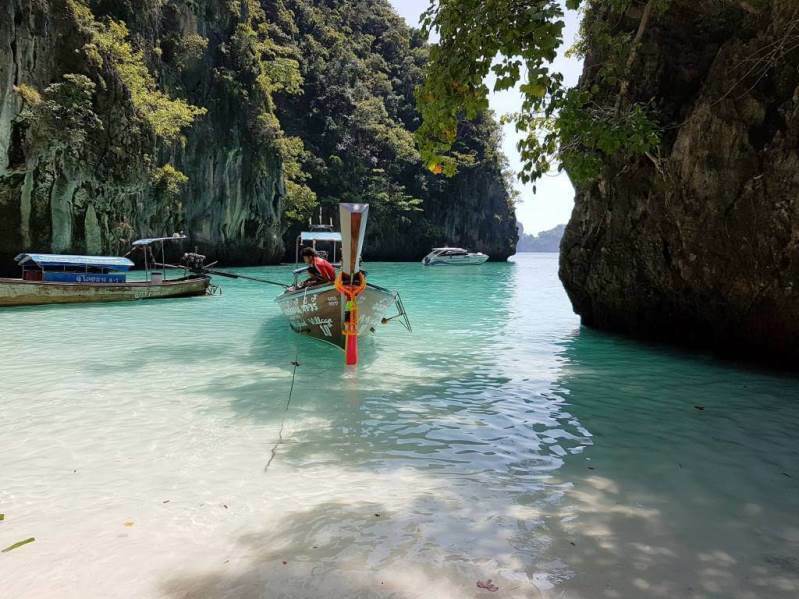 As our longtail boat tour was private and the beach was empty we were able change our itinerary and opted to stay and enjoy the stunning little beach instead of moving on to a different location for further snorkelling. 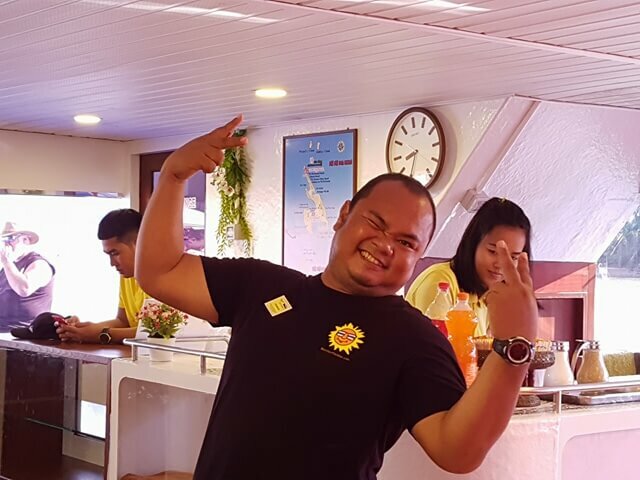 During our Phi Phi boat tour we never felt rushed which was all thanks to our experienced guide and boat captain who carefully selected areas for us that were not overcrowded. 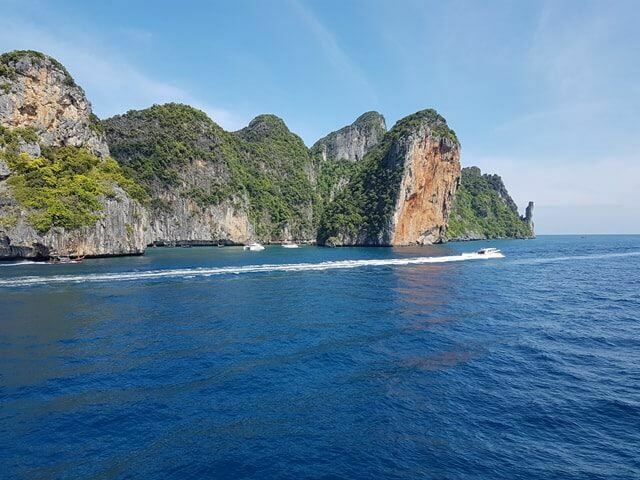 On our voyage back to Phi Phi Don, our boat Captain cruised around the beautiful Piley Bay before we headed back to Tonsai Pier to board the ferry back to Phuket. Once back on-board the ferry we settled into the comfort of the Premium lounge and again we were provided further complimentary drinks and snacks during the return journey to Phuket. When we arrived at Rassada Pier our mini bus driver Mr Coffee was waiting for us for our return journey to our hotel. 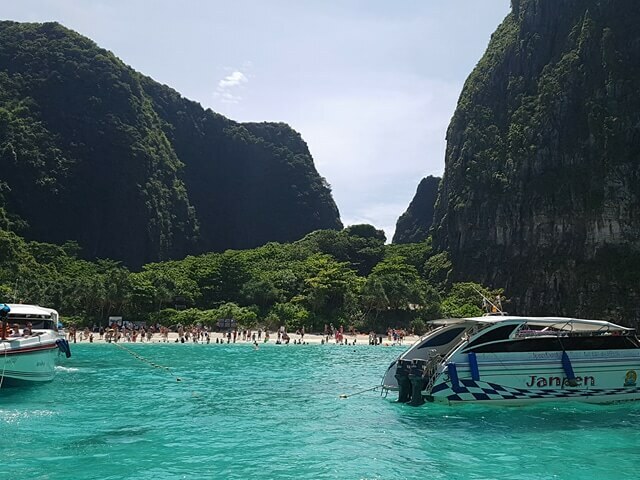 Overall we had a fabulous day and I would highly recommend this Phi Phi boat tour to our readers. 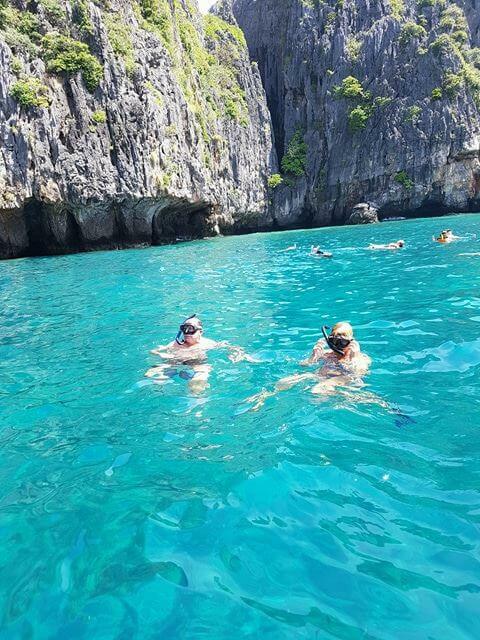 Easy Day Thailand also have a range of other tours, if you would like to know more about this Phi Phi boat tour or other tours they have, just use this contact form and the friendly staff will be happy to assist you.